One of the common challenges in Sitecore implementation is the importing some kind of data into Sitecore and store it as an items. You usually do it, when you have some external PIM system, where you manage your products and want to display those on your site with limited calls to external system, which may be performance bottle-neck. 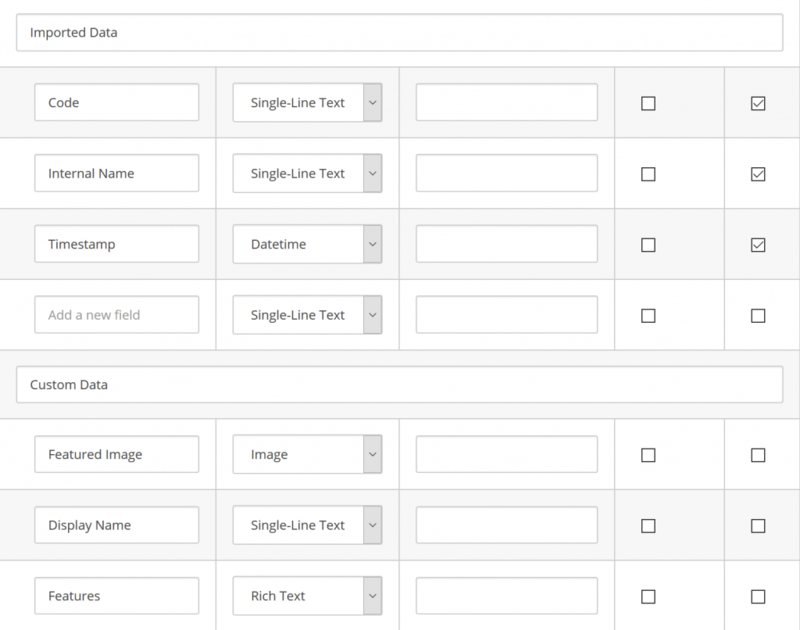 Usually you want those products with some extra information managed in Sitecore directly, like rich text descriptions or images and take advantage of Sitecore personalization features. Of course you want to keep those product up-to-date in Sitecore. 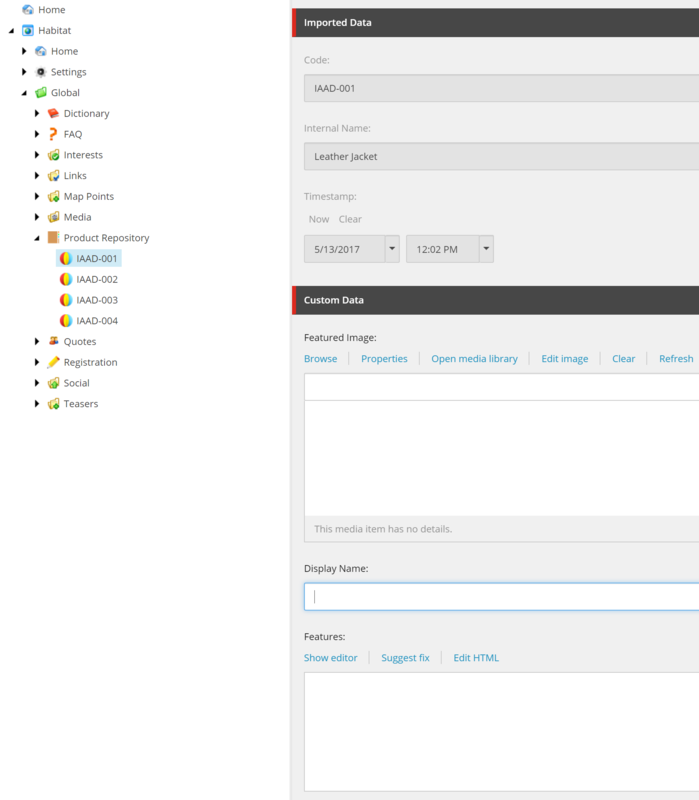 Core part in our implementation is Sitecore scheduled task, which is a combination of items and custom code. In first part of this tutorial we’ll focus on the task, in second we will add some tweaks, including item bucket. Ok, let’s create definition item for our task’s command. We create it under /sitecore/system/Tasks/Commands. In the “Type” field we define where our code is located in format “namespace.class, assembly name”. 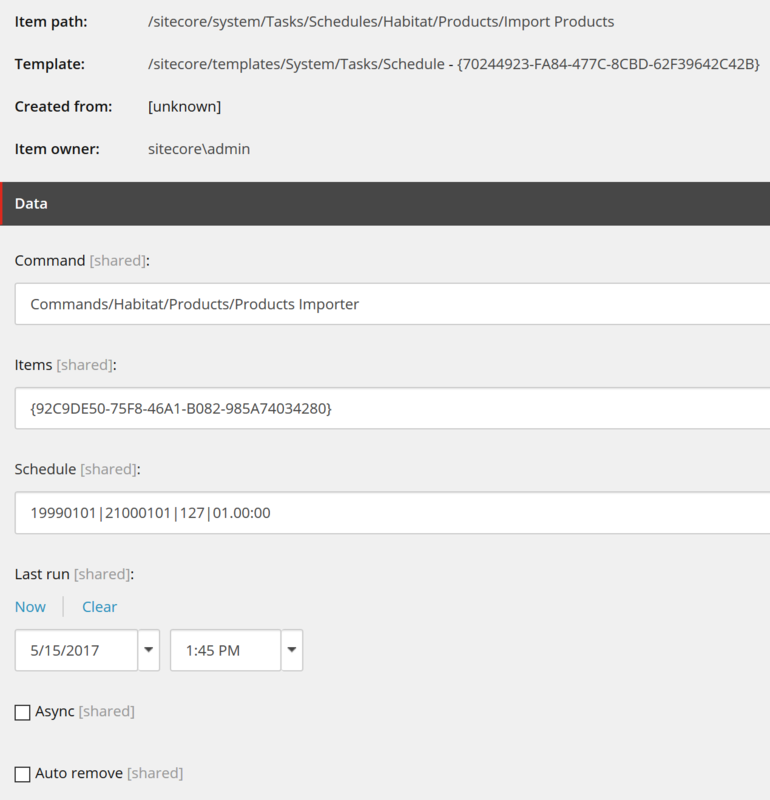 In “Method” we tell Sitecore which method should be called by the task scheduler. So 19990101|21000101|127|01.00:00 basically means start task immediately, run every hour every day, until year 2100. 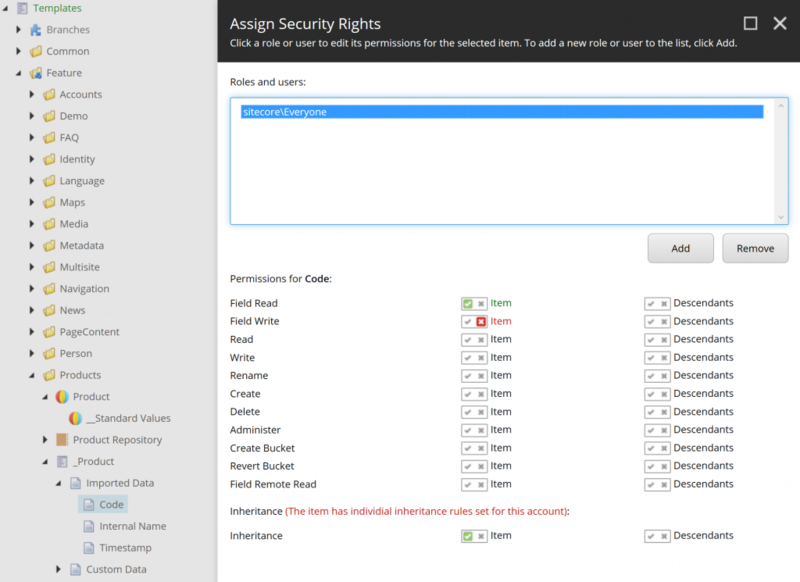 “Last run” field informs Sitecore (and us) when the task run for the last time. This field is automatically updated by Sitecore. So to force the task execution we can select date in the past and save the item. “Async” means that the second instance of the task can be executed, while the other one is still in progress. “Auto remove” will remove schedule definition item, so the task is run only once. In our case we left both unchecked, cause this is not the behaviour we want in our product importer. You may ask now, why some custom code is called periodically, after I created those Sitecore items? The answer is, there is scheduling agent defined in Sitecore configuration, which periodically checks all schedule definitions items and fire them up.By the way scheduling agents are another way to call your code periodically, if you are interested, you can have a look at John West article linked below. This config file should be disabled on environments, where you don’t want scheduled tasks to be executed, for example you typically don’t want them on CD or Reporting roles. In RunImporter method we call a webservice (productService.GetAll()) which returns the products from external system, loop for each product and checks if product with same unique code exists in our product repository in Sitecore. If not we insert new one, otherwise update it, if timestamp (creation or last modification date) returned from service is later than timestamp saved in Sitecore. All the code related with importing is in try catch block, cause we can’t fully trust external service, which for example, at some point may not be available. We added some extra code measuring the performance using System.Diagnostics.StopWatch class. 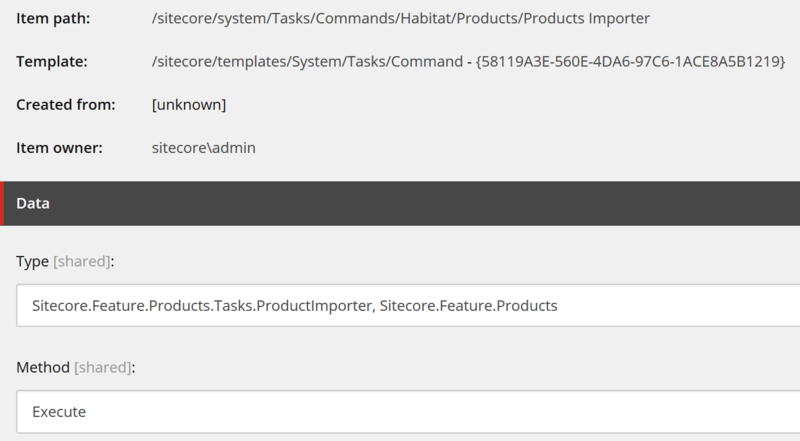 We already introduced some performance tweaks using Sitecore.ContentSearch.Maintenance.IndexCustodian class, which is out-of-the-box Sitecore helper for search index management. What we do is basically: pause search index update before import process starts (IndexCustodian.PauseIndexing) and resume the indexing after all changes are done (IndexCustodian.ResumeIndexing). Additionally we keep all new or modified items and update all at once in selected search indexes, in our case only the one related with Master database (IndexCustodian.IncrementalUpdate). This approach may improve the performance for large number of changes, if the default indexing strategy is used, which sync Master indexes after every item changed. Last piece of our code is the “Map” method, responsible for mapping object returned by web the service into Sitecore item. Again we secure the code in case some data data is in unexpected format. We assume that product codes are unique and use them as an item names, but also define DisplayName for product items with both product code and name to improve editor experience.